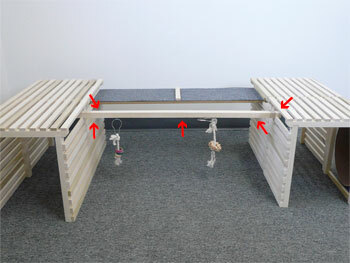 A 30 inch wooden bar that has four pre-drilled holes with screw eyes to allow you to attach your bunny's favorite toys. 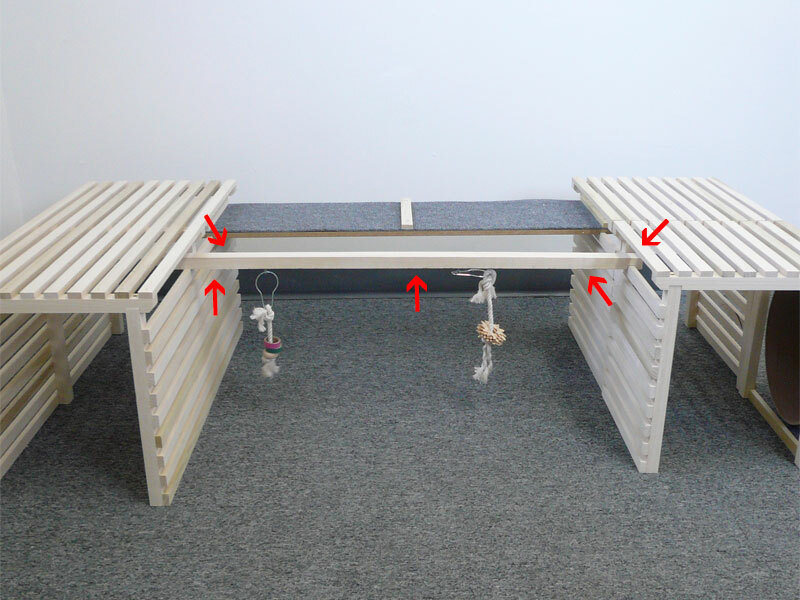 Attaches to the side walls of our Bunny Playland wooden Tunnels and makes it easier for your bunny to get to their toys for maximum enjoyment. Get one...or several and really make their day! Toys not included! You'll have to order those separately.